​OPEN: Tuesday - Friday: 9 a.m. - 2.30 p.m. Saturday & Sunday: 10 a.m - 3:00 p.m. The Goulandris Natural History Museum. Founded by Angelos and Niki Goulandris in 1964, the Goulandris Natural History Museum (GNHM) is a private, non profit institution, the first museum of its kind, and the first to initiate environmental education in Greece. It is housed in an elegant neoclassical building of the 19th c., converted and expanded in order to satisfy the Museum’s educational and scientific requirements. In 1991 the Museum founded the Greek Biotope/Wetland Centre (EKBY) with the support of the European Commission (DGXI) and the Greek Ministry of the Environment. EKBY’s overall objective is to help avert and reverse the loss and degradation of wetlands and terrestrial natural ecosystems, primarily in and also in the rest of the Mediterranean region. Looking forward to the 21st c., and in view of the continuing environmental degradation, the Museum has undertaken to create the GAIA Centre for Environmental Research and Education, with the support of the European Union’s Cohesion Fund. It has been conceived as the Museum of the future, a pioneering centre of scientific research and education, which will contribute to the establishment of a new environmental policy in Greece, in Europe and internationally. GAIA Centre for Environmental Research and Education (interior). Gaia Centre demonstrates to visitors the way planet Earth has been functioning for millions of years and how it functions today, with the intervention of people. At the entrance, as well as all along the exhibition, the ancient goddess Gaia is present extending her offering hand to humans. The «Geosphere», unique in the world, is a hemispherical dome - monitor of 5 m of diameter and of approximately 40 m2 of surface. It shows the rotating planet in 225,000 high resolution images. It also presents, in a brief and concise way, the geological evolution of our planet from its creation, 4.6 billion years ago, until today. The exhibition is conceived and implemented by the London Museum of Natural History in cooperation with the Goulandris Museum of Natural History. Every day, hundreds of visitors, mainly school children, are guided and trained in order to develop and increase their environmental awareness. The specialist staff of the Museum and the Gaia Centre guides the visitors through the exhibition areas, providing useful information regarding the creation and evolution of our planet. 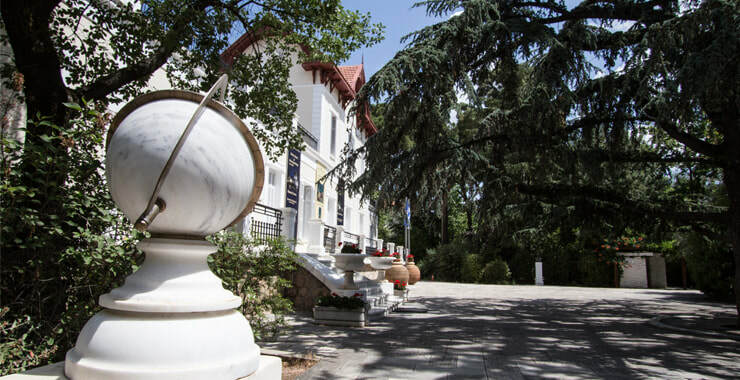 The laboratories of the museum focus on gathering, recording and studying botanical, zoological, geological and fossil specimens from the Greek territory. The museum’s collections are thus constantly enriched with new specimens. Moreover, the Gaia Centre includes two state-of- the-art laboratories of Soil Ecology, and Biotechnology and Bioanalytical Chemistry which deal with the research of vital natural resources: soil, water and air, and their impact on human health and nutrition. 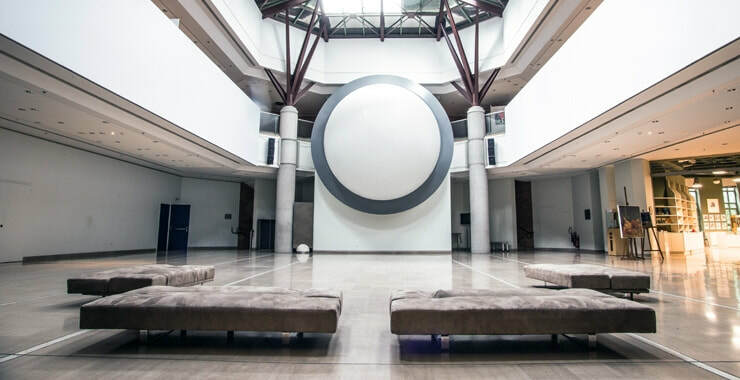 The amenities of the museum also include a rich library with extensive scientific material in the fields of environmental sciences, two café-bar restaurants and fully-equipped halls suitable for hosting conferences, congresses, seminars and corporate presentations.